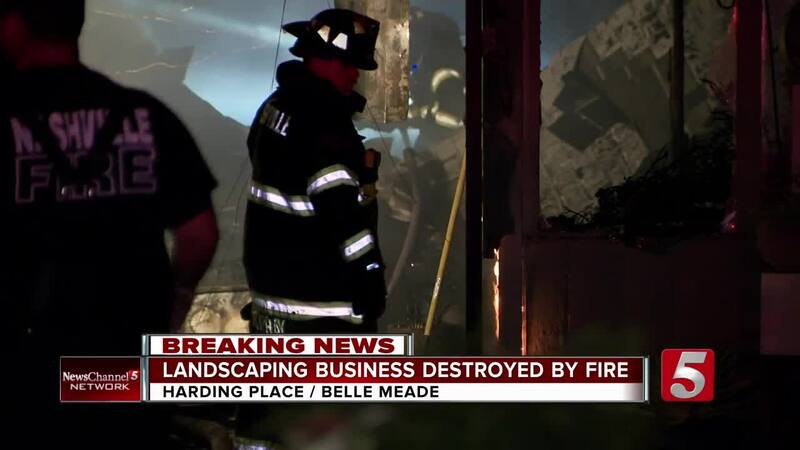 A Belle Meade gardening center was badly damaged in a fire early Thursday morning. A fire at a gardening center in Belle Meade has been deemed suspicious by officials. The fire started at about midnight Thursday at Creekside Garden Center on Harding Place, near Harding Pike. Nashville fire officials said the blaze is suspicious and the investigation remains ongoing. Multiple fire crews were called in over concerns about hazardous chemicals in the business. "There were chemicals inside of this nursery so, pesticides, herbicides they had to be careful about," said Jose Pleasant, the Public Information Officer for the Nashville Fire Department. Pleasant said the roof of the business also caved in, adding to the danger for firefighters. He said investigators believe the fire started at the back of the business in the plant nursery. No one was in the business at the time of the fire. Employees there said everything inside the plant nursery was lost. "Indoor plants, fertilizers, bug repellents, animal repellents, cash register, all of our important office stuff," said Stephen Johnson. "We had a cat, Scout, that was inside. We're not sure if she escaped or not. She could've gotten out, but we haven't found that out yet." Creekside was open for business Thursday with a makeshift office tent. Customers were showing up to buy the outdoor plants, which were mostly untouched by the heat and flames. "The people of Belle Meade, we're centralized here. People come from all over just to come here because they like doing business with us. We really appreciate that. It's nice to see the community come together," said Johnson. According to a spokesperson for the Metro Department of Codes, the lot was previously listed as a fire hall. 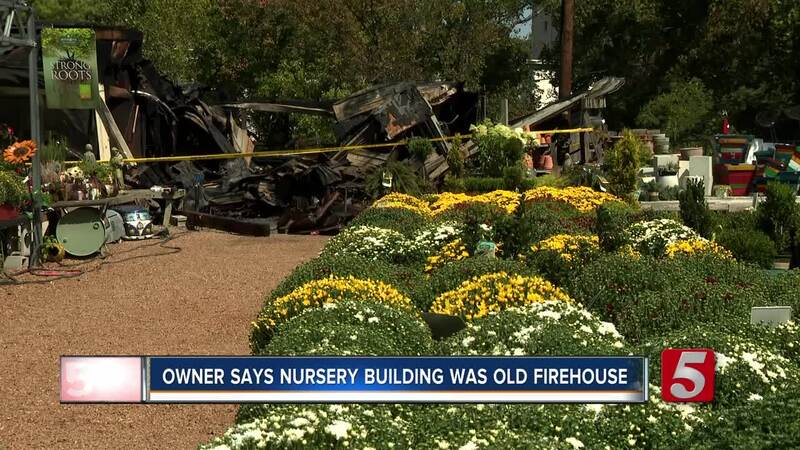 The owners of the business said the nursery building used to be a Belle Meade Volunteer Fire Hall in the 1970s.